In art making, materials and media are the intermediaries between private ideas, thoughts and feelings, and their external manifestation in a tangible, sensual form. Thus, materials provide the core components of the exchange that occurs between art therapists and clients. 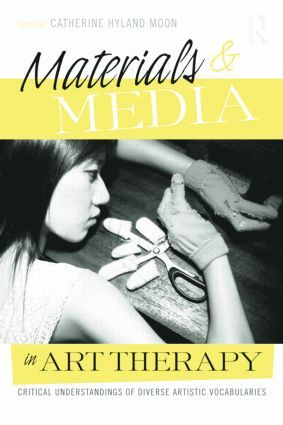 This book focuses on the sensory-based, tangible vocabulary of materials and media and its relevance to art therapy. It provides a historical account of the theory and use of materials and media in art therapy, as well as an examination of the interface between art therapy, contemporary art materials and practices, and social/critical theory. Contributing authors provide examples of how art therapists have transgressed conventional material boundaries and expanded both thinking and practice in the field. The chapters discuss traditional as well as innovative media, such as body adornments, mail and video art, and comic books. An accompanying DVD contains media clips, as well as 69 color images.